Separation anxiety in dogs can be difficult to treat, yet I’ve read over & over again that there’s one magical tip that can cure it overnight. Unfortunately it’s not that easy. Just like treating any sort of anxiety problem the solution is not quite so simple, and it often involves multiple methods for an extended period of time. If you’re trying to treat your own dog’s anxiety check out the methods I had success with when treating my dog, and the additional links at the end of this post — they’ll give you actionable tips to help manage the behavior. As you can see they rely on a few different methods and a lot of repetition; anxiety can be rather complex to treat, and it won’t go away overnight. As for the myths surrounding treatment options the following methods aren’t completely false (well the one about it being a phase is absolute garbage), but they’re not necessarily complete either. Used on their own they’re not often enough to treat a dog with moderate or severe anxiety. When it comes to managing separation anxiety in your dog there are no overnight cures. Here’s 5 myths about managing separation anxiety in dogs, and why they’re not always guaranteed to work. 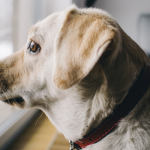 And if you’re looking for some advice on treating your own dog’s anxiety check out the links at the end of this article — they’ll give you a better understanding of how to manage anxiety in your dog, and actionable tips to use. The myth about getting a second dog to help treat a dog’s separation anxiety is a pretty pervasive one. And I understand why — taken on it’s own it seems like it would help. In theory getting a second dog makes perfect sense; your new dog will help keep your current one company, right? But unfortunately it doesn’t generally work out that way. But it’s not guaranteed to work; getting a second dog is not a cure for separation anxiety. If your current dog has separation anxiety it may be tempting to get another dog to help them feel less lonely when you’re gone. The problem is dogs with separation anxiety aren’t suffering from loneliness — they’re suffering from anxiety when their owner leaves. Dogs that have separation anxiety are anxious when they’re away from their owner(s), and while the addition of another may help them feel less lonely it’s no guarantee that it will ease their anxiety. They get anxious when their owner leaves, regardless of how many other animals you have in the house. Your current dog will still have separation anxiety when you leave. Your current dog will be less anxious with their new buddy around. The problem is there’s no way to guarantee that the third option will happen. Another dog might make your dog less lonely, but it’s not likely to cure your dogs anxiety when you’re away. And don’t forget that dogs learn from one another, so there’s a possibility that your current dog will teach your new dog that being anxious when you leave is “normal.” This is especially true if the second dog you’re considering is a highly impressionable puppy. In the worst case scenario you may end up with two dogs with separation anxiety. Getting a second dog can be a great choice, but it’s a big commitment. Do it for the right reasons. Don’t get a second dog just for the sake of your current dog — get a second dog because you want one. Getting a second dog is great when done for the right reasons, but it’s not a good option if you’re just hoping it will cure your dog’s separation anxiety. 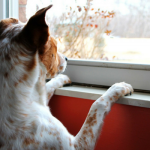 Dogs with separation anxiety when they’re away from their owners — the addition of another dog is not guaranteed to help. Crate training isn’t a bad idea on it’s own, but when it comes to treating separation anxiety it’s not a guaranteed cure. It all depends on how your dog feels about their crate to begin with. If your dog has separation anxiety, using a crate makes sense if you may want help keep them safe while you’re away, but before you do it’s important to make sure they’re comfortable with it. For most dogs that takes a bit of time. If your dog isn’t a fan of their crate to begin with they’re not going to enjoy (or feel safe) being left in it when you leave. Does your dog feel safe in their crate, or do they avoid it as much as possible? If your dog doesn’t feel safe in their crate to begin with putting them in there when you leave can make their anxiety worse. Not only will they still have anxiety because you’ve left — they’ll also have anxiety because they feel trapped in a space where they don’t feel safe. If you want to crate your dog when you leave you’ll need to work on getting them completely comfortable with it first. Encourage your dog to use their crate by showing them that the crate isn’t a place to be scared of — it’s one where good things happen. If you’re not familiar with this process crate training games are a tremendous help. If you work on getting your dog completely comfortable with their crate it can be a big help with anxiety. It all depends on whether or not the comfort the crate provides outweighs the anxiety they feel when you go to work. While it’s true that exercise can help cut down on some destructive behaviors, on it’s own it may not be enough to cure separation anxiety. Now I’m not one to say you shouldn’t give your dog more exercise — nearly all dogs would benefit from more physical activity. But what I am saying is that exercise alone isn’t always going to be enough to cure all cases of separation anxiety. Exercise is known to help cut down on anxiety in humans and dogs alike, but it’s usually paired with additional treatment methods. Exercise can help with your dog’s anxiety, but it might not be enough on it’s own. Giving your dog some extra exercise before you leave is great, and there aren’t any downsides to it — but alone it may not be enough to keep them calm as you’re leaving. If giving your dog more exercise doesn’t work for your dog give them something to do as you’re leaving. When you’re getting ready for work in the morning does your dog start to get anxious? If so hand them a Kong stuffed with treats that you’ve frozen overnight. I prefer using Kongs because they’re indestructible (for my dog at least), and I feel comfortable leaving my dog with it. Stuffed Kongs work so well because they give your dog something to do while you’re leaving, taking the focus off of you. They’re mentally stimulating, and since they take awhile to get through they work wonders when it comes to holding a dog’s attention. Giving your dog more exercise is great, but alone it may not be enough to treat separation anxiety. If your dog gets plenty of exercise but still gets anxious when you leave try giving them something to do as you’re leaving. Using a stuffed Kong or something else that keeps them busy for awhile can take the attention off of you as you’re walking out the door. There’s a common misconception that once you find a way to manage canine separation anxiety it’s cured forever. Well that’s not exactly true. Unfortunately it can creep up back again without proper maintenance. My dog Carter’s separation anxiety was well under control until we moved into a new home. That stress made it come back almost immediately. If I had known that was a possibility I probably would have caught the signs of his anxiety creeping back up earlier, but as it was I didn’t notice until it had gotten pretty bad. Changes in living situations, or any extra stressors such as a new schedule, can cause your dog’s separation anxiety to come back. That’s the bad news. The good news is that since you already know the signs of anxiety in your dog you can catch them earlier the second time around. And generally speaking the earlier you manage their anxiety the easier it is to treat. I’m not saying that your dog’s guaranteed to start acting anxious again when you leave — but it’s important to understand that it can happen. It doesn’t mean you failed the first time around, it just means that something has triggered your dog’s anxiety again. 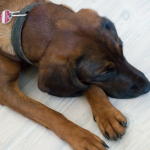 You can help your dog by practicing the same methods you used successfully the first time around, and using them whenever you see that your dog’s starting to get anxious again. It’s true that our dog’s have different phases in their lives, such as equivalent of the rebellious teenage years, but separation anxiety itself isn’t a phase. It’s a problem that can effect any dog — regardless of age or breed. 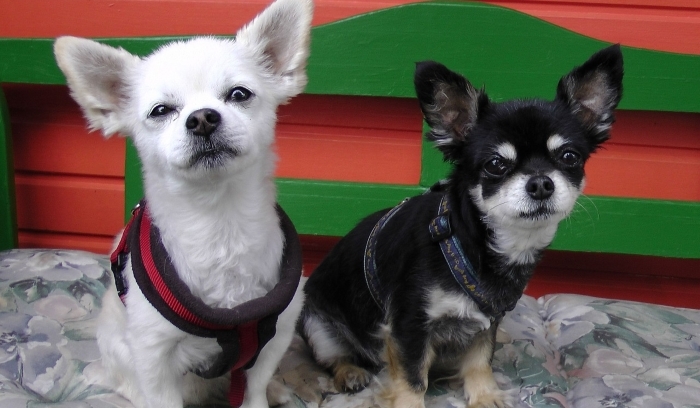 For most dogs separation anxiety is progressive, and it will continue to get worse over time. If you’re able to intervene early we can stop the behavior before it gets that serious. Canine separation anxiety is a behavioral problem that doesn’t just go away on it’s own, it’s one that will get worse over time without management. It’s not a phase, and your dog will not simply grow out of it. Like anxiety disorders in humans your dog’s separation anxiety may be triggered by something specific, but it’s not a phase. Humans don’t just wake up one day without anxiety because they reached a certain age, and our dog’s don’t either. 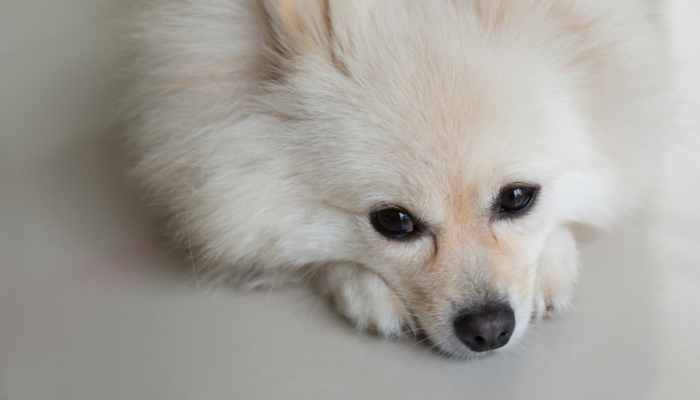 To prevent your dog’s anxiety from getting worse you’ll need to manage it. 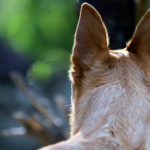 That includes using desensitization and counter conditioning — methods that change your dog’s negative association with you leaving into a more positive one. It takes time, and it takes a lot of effort, but it can and needs to be managed. It’s not something they will grow out of. 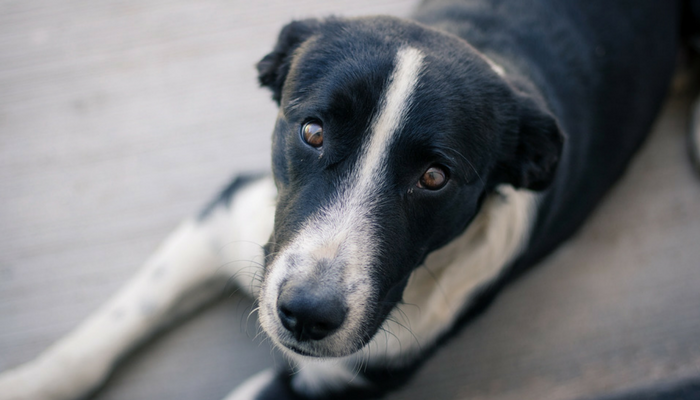 Separation anxiety in dogs can be challenging to manage, and it’s a heartbreaking behavior to see our dog’s go through. That’s the bad news. The good news is there are methods to help manage it. They take time, and they take a lot of repetition — but it can be done. Don’t get discouraged if one single piece of advice like the ones mentioned above don’t work for your dog right away. Treating separation anxiety relies on different methods, and not all of them work well for every single dog. If your dog has separation anxiety I recommend checking out the following articles. They explain the behavior in detail, and they give practical advice and methods for managing it. For dogs with severe cases of separation anxiety I suggest reaching out to a professional trainer or behaviorist for help. It can be a complex behavior to manage, so don’t hesitate to reach out for help if you’re unable to manage it on your own. We got a new boxer puppy at 3 months old. Are on 2nd week of healing after ear trimming. New owners, new environment, no training … hence ANXIETY! She doesn’t know her name, our home layout, eating schedule, is medicated due to taped ears and cone collar. Too many new things to comprehend. Don’t know how/when to start obedience training. Please help.